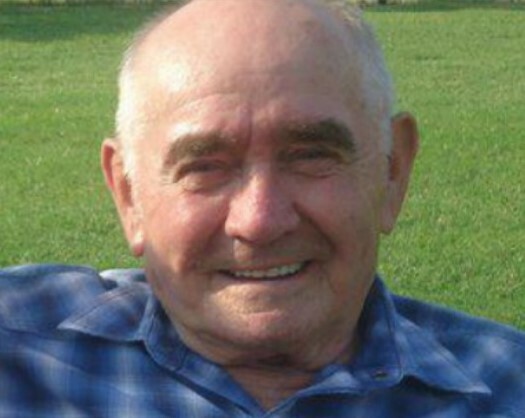 Wilbur “Candyman” Lonsinger passed away in Lafayette, Indiana, on Thursday, March 21, 2019. Wilbur was born March 25, 1930 in Uniontown, Pennsylvania. He married Sylvia Cunningham Lonsinger in 1952 and they would have been married 67 years on April 12th. He was a Korean War veteran serving in the U.S. Navy from 1951 - 1953. He was a Coal Miner at Isabella Coal Mine and later a school bus driver, working for Laidlaw Transportation for many years. He and his wife owned and operated Sylvia's Craft Shoppe in Fairchance, Pennsylvania. He was a very friendly man who loved giving out candy everywhere he went. He is predeceased by his mother, Loma Rist Lonsinger and father, William Lonsinger, as well as his sisters, Sue, Phyllis, Ann and brothers Jim, Barry, Dan and Douglas. Wilbur is survived by his wife, Sylvia, son David Lonsinger and his wife Judy and daughter Debbie and her husband Larry Strauch, 3 grandchildren, Mark and wife Dawn, Stephanie and husband Jeremy and Jonathan and girlfriend Krista and 5 great grandchildren, Tyler, Kaylee, Caden,Logan and Ryan, his remaining brother, Michael Lonsinger and wife Linda and several nieces and nephews. Viewing will be 5 to 8 pm on Friday at Dean C. Whitmarsh Funeral Home, 134 West Church Street, Fairchance, Pa. and a committal service at 10 am on Saturday, March 30, 2019 at the Mausoleum Chapel in Lafayette Memorial Park, Brier Hill, Pa. with Reverend Pete Malik officiating. Military Rites will be accorded by General Marshall Amvets Post 103. In lieu of flowers, memorial contributions may be made to IU Health Foundation Arnett Hospice, P.O. Box 5545, Lafayette, IN 47904, www.iuhealthfoundation.org or to St. Jude Children Research Hospital Memorial Donation, 1-800-822-6344, www.stjude.org.